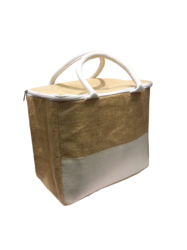 We are widely known as the renowned manufacturer and exporter of Jute, Denim, and Cotton Bags. 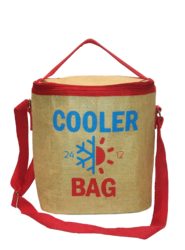 This Gorgeous Cooler Bag with lunch bag can storage food and drink for cool or hot, which makes your trip more convenient. These are all enduring, eco-friendly, lasting and fashionable and easy to carry innovative designs using with high grade raw material & durable and waterproof material Inside is made from thermal insulation material. Our products are good in rates as well domestic and international markets. Size/Dimension 41 x 35 x 17 Cms.